As far as Albie’s concerned, going shopping with Mum is the most boring thing in the world. But this particular trip to the supermarket opens up a whole new world of fun! It’s not just any old shopping trip. They’re browsing the aisles of the supermarket zoo, where the shelves are stacked with creatures of every description! 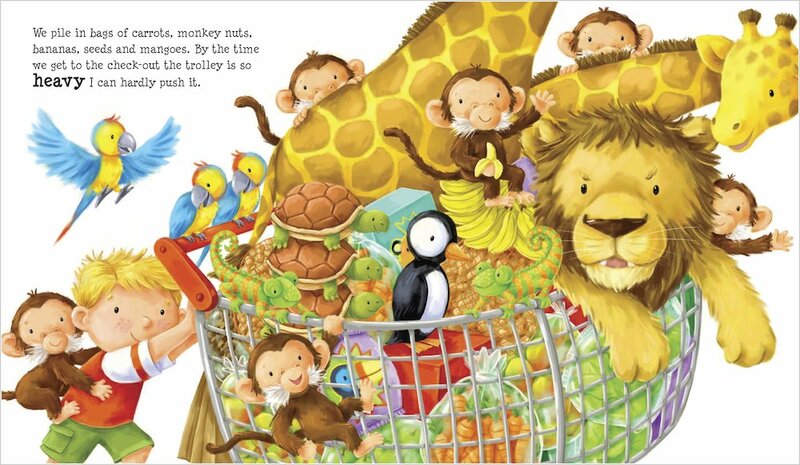 With a whole trolley-full of animals on his list, Albie will never find shopping dull again… Full of humour and invention, this story will thrill children who love shopping, while winning over those who aren’t quite so keen! Go wild at the supermarket zoo – and decide which animal you most want to buy! Colour in this cheeky monkey mask, then ask an adult to help cut it out. Can you spot all the animals on the shopping list? Tick them off as you go! 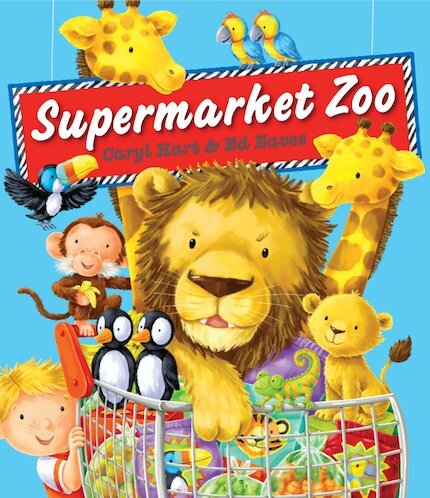 an imagenitive book about a supermarket with zoo animals in. My favourite animal was the dinosaur at the end because it was on a spiked lead like a dog and was being walked just like a dog by Mum. 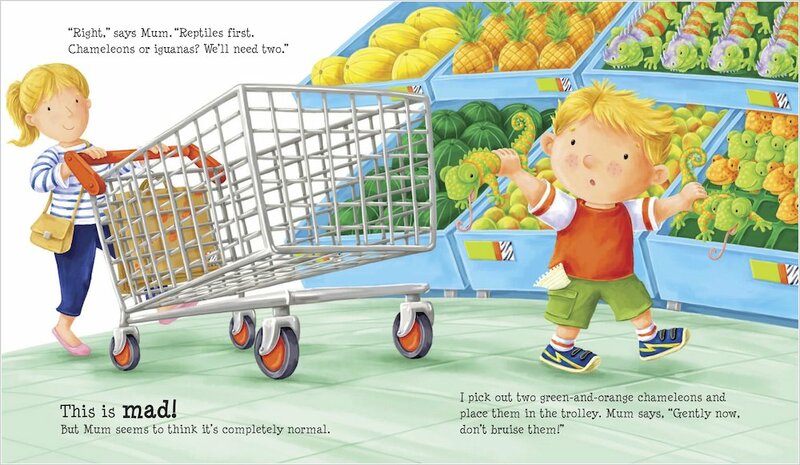 My favourite picture in the book was when Albie was in the car waiting anxiously to go to the supermarket. This scene had lots of detail in it. I rate this book 9/10, I would like to read more picture books by Caryl and Ed.